AutoCAD Appliance Blocks and Symbol Libraries. These 2D CAD appliance blocks come in both plan and elevation views. 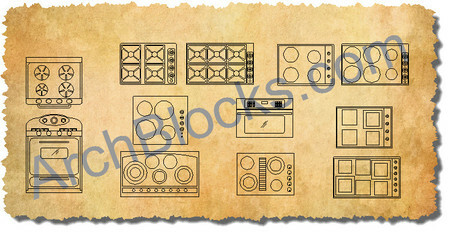 If you need kitchen design AutoCAD appliance symbols for your CAD drawing projects, this is a great place to start. Save time, download these CAD Blocks NOW!